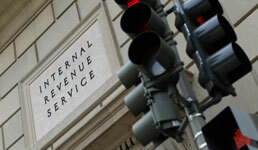 Financial advisors may have to grapple with an “ugly” tax filing season as the Internal Revenue Service will be working at little more than half its normal capacity due to the ongoing government shutdown, according to news reports. The shutdown has meant that seven out of eight IRS employees have stayed away from work for 25 days now, Bloomberg writes. At the same time, last year’s tax overhaul is projected to impact “virtually every tax return” filed when the tax season begins on January 28, according to the news service. The IRS said earlier this month that it will indeed process and issue tax refunds despite the shutdown, unlike during previous government shutdowns. The agency will have around 46,000 of its more than 80,000 employees returning to work in the near future, according to the IRS’s contingency plan released Tuesday, Bloomberg writes. The agency will also reopen call center sites closed during the shutdown, according to the news service. Nonetheless, advisors and their clients can expect some serious hurdles. Customer service, with which the IRS has already had problems, is likely to be even slower this time around, Pete Sepp, president of the National Taxpayers Union, tells Bloomberg. Refunds may take more time to process, thanks to the tax overhaul, according to the news service. The IRS hasn’t made it clear whether it will process payments or refunds connected to audits from previous years during the current shutdown, Bloomberg writes. And taxpayers who have unpaid tax bills will continue accruing penalties as well as interest — even if they can’t get in touch with the IRS, Brian Thompson, a certified public accountant at accounting firm Bailey & Thompson, tells the news service. Last year, the IRS didn’t answer around 20% of the calls placed, and many of those it did went to automated recordings, according to a report from the Taxpayer Advocate Service cited by Bloomberg. Meanwhile, those who do reach human IRS employees should be prepared for less enthusiasm than normal, since the agency’s workers are not getting paid during the shutdown, the news service writes. The IRS may also run into technical issues, which “have plagued” the agency’s platforms already due to hackers becoming more skilled in recent years, according to the news service. Nonetheless, despite the shutdown, taxes will need to be paid.